Hirschberg Alm is a great trip where you only meet a few tourists. 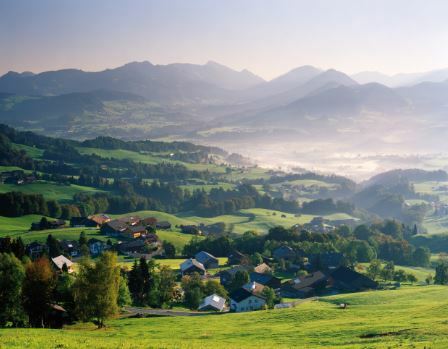 On the southern side of the Hirschberg in the Bregenzer Wald in Vorarlberg lies the village of Langen above the Bregenzerach valley. From here you can hike up to three thousand mountains. The highest is the Hirschberg. 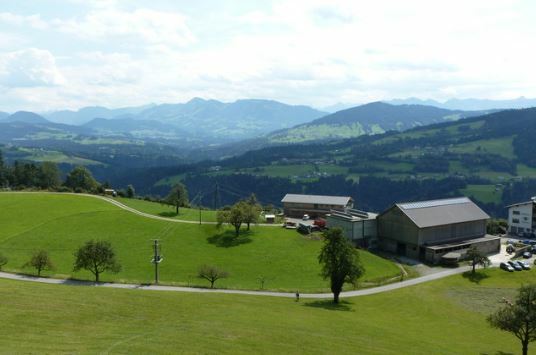 From its summit you can see the 1,069 m high Hochberg and the 1,064 m high Pfänder. A good starting point for the Hirschberg Alm is the Stollen Inn. Here you can also enjoy a really delicious schnitzel with beer or wine after the hiking tour. 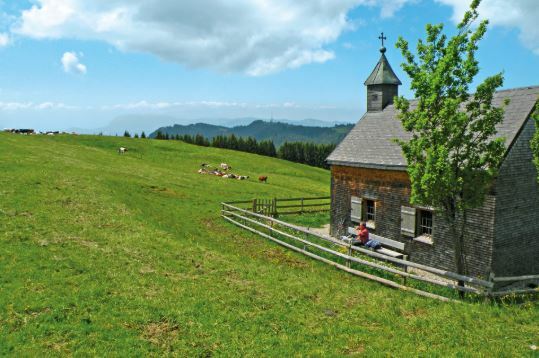 If you hike to the Hirschberg Alm, you will reach the summit via gentle climbs and cosy meadow ridges. 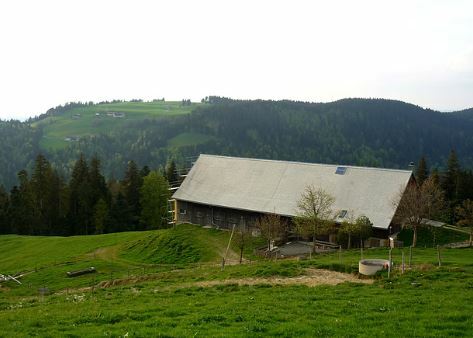 On the way you can enjoy views of the Bregenzer Wald and the nearby Allgäu. The nearby Pfänderrücken with its summit tower high above Lake Constance is just as fascinating as the views as far as Kanisfluh and Damülser Mittagsspitze. The Hirschberg Alm Hike is one of my personal favourites. Also because the way lies off the usual tourist routes. If one manages to get to the starting point, the Stollenrestaurant, one has to reckon with only a few other tourists that one meets on the way. But with all the more contact to the locals.